Milo Tiatia plans to use his extensive experience to guide his greener teammates on the regional stage. Milo Tiatia’s first taste of international competition came in 2016 when he turned out for the American Samoa U-17 team as a 14-year-old. Two years down the track and he’s taking part in his fourth Oceania tournament and as one of the more experienced members of the American Samoa U-16 team taking part in the Qualifier in Tonga this week, he’s hoping to set an example for his teammates. 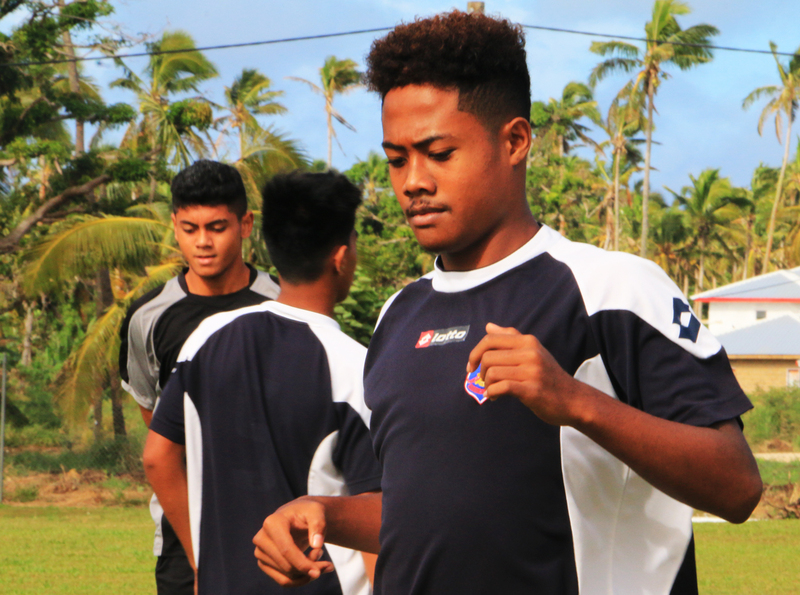 Already this year Tiatia has taken part in the OFC U-19 Championship Qualifier in Cook Islands. That American Samoa side lost three consecutive matches but Tiatia believes for the players like him who are back representing the country in this competition – the experience was crucial. “I got a huge experience from the U-19 competition,” Tiatia said. Tiatia is fiercely proud to be playing for the American territory. “It means a lot to represent my country,” he explained. Tiatia and his teammates came close to making an unprecedented start to the competition when they went two goals up against the hosts Tonga in their opening match on Saturday. However, the side struggled to maintain the rhythm of the game and allowed Tonga to equalise. Tiatia, who was his side’s opening goal scorer, said he doesn’t want to see that happen again especially against current table toppers Samoa. “I was happy when I scored. The boys came and jumped all over me so I guess they were happy too. “But the boys, they quit easily,” he said of allowing Tonga back into the match. American Samoa will meet Samoa on Tuesday 17 July at Loto-Tonga Soka Centre for Match Day 2 of the OFC U-16 Championship Qualifier with the match kicking off at 11am.